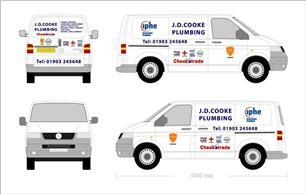 J D Cooke Plumbing - Central Heating Engineer, Plumber based in Goring by Sea, West Sussex. Welcome to J D Cooke Plumbing. I'm a Gas safe registered Engineer with over 32 years experience in the trade. I'm based in the west Sussex area covering Goring–Bye-Sea, East Preston, Ferring, Worthing, and Littlehampton and Findon. My customers are re-assured that I'm a reputable Installer and I comply with stringent standards by being Gas safe registered and being part of Checkatrade, so you will get a high standard of workmanship that complies with all regulations. I can take on all projects small and large , so if it’s a leaky tap to installation of heating systems give me a call today for a free quotation.